WASHINGTON — Hundreds of labor leaders, elected officials and progressive activists packed a conference here Oct. 29 to demand a new, green manufacturing economy to bring the United States out of the recession and restore the nation’s industrial might. The conference, entitled “Making It In America: Building the New Economy,” was organized by the Institute for America’s Future, a progressive think tank, and the Alliance for American Manufacturing, a partnership of the United Steelworkers union and leading manufacturers. 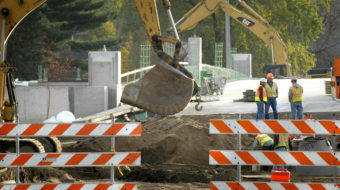 Conference attendees called on the Obama administration to use stimulus funds to rebuild the decimated manufacturing sector. They also proclaimed their support for a new national industrial policy to guide the nation through the 21st century. “The Obama administration must direct resources to the industrial heartland,” said Richard Trumka, newly-elected resident of the AFL-CIO. “We need to think big and think bold,” he continued. Speakers from academia, manufacturing, the media, politics and labor presented their thinking. John Surma, chairman and CEO of the United States Steel Corp., called on labor and manufacturers to “work together” to come up with solutions to the manufacturing crisis. “We need to improve our trade policy,” said Surma. In addition, the Obama administration must “reduce incentives for taking production offshore,” he commented. 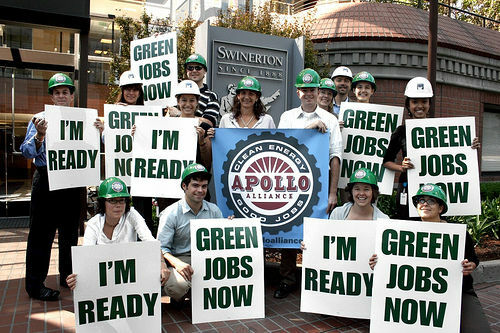 Kate Gordon, of the Center for American Progress and the labor-environmental Apollo Alliance, stressed the need for a “green manufacturing revolution” that combines industrial expansion with environmental protections and strong labor rights. Speaker after speaker highlighted the key role that labor played in the creation of a prosperous American working class, and the role that it must play in any future industrial expansion. 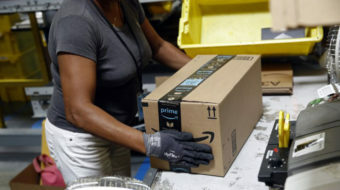 “We need the Employee Free Choice Act to make this [green industrial revolution] happen,” Gordon said. Praising labor as “the single ongoing progressive force in America,” Sen. Sherrod Brown, Democrat of Ohio, called for a broad-based, labor-led coalition to fight for a unionized, green manufacturing economy. He vowed that he would do the same from within the halls of government. “Progressives need to pursue this inside/outside strategy,” Brown said. “There are frankly too many people who are elected who are lapdogs of corporate America,” he added. Conference attendees, many of them union members, expressed their support for the proposals put forward by the speakers. 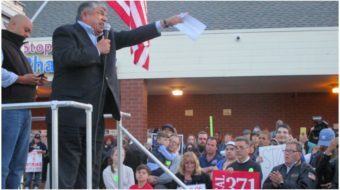 Gerard also expressed great hope for the future of the labor movement under Trumka’s leadership. “I think Richard Trumka is the right leader at the right time,” Gerard said. “Most important is that with Richard at the helm we are going to win the right of employee free choice,” he concluded.